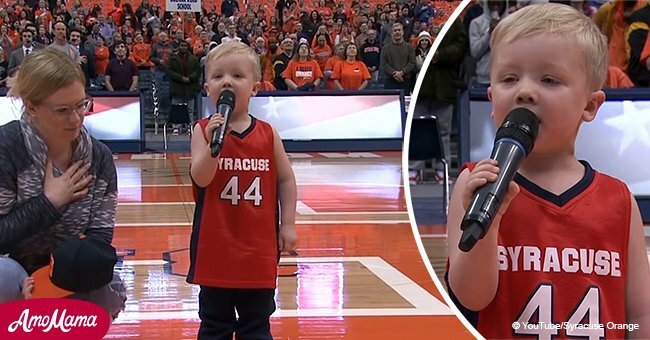 Succeeding where most adults have failed, 4-year-old Landon Mak wowed the crowd at a hockey game in Pennsylvania with his rendition of the national anthem. There are a lot of things that people have a phobia for, one of which is standing in front of a crowd to make a speech or perform. 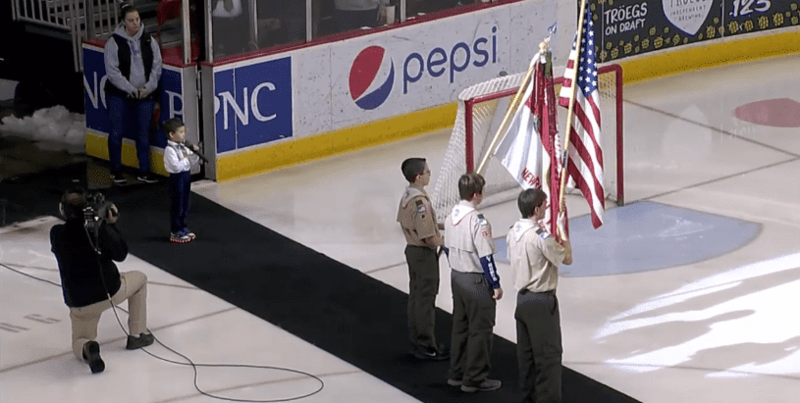 Landon Mak singing the national anthem at the hockey game. | Photo: Facebook/Hershey Bears. Landon dressed smartly in a pink shirt, striped bow tie, and suspenders, with a stars and stripes shoe that lit up. 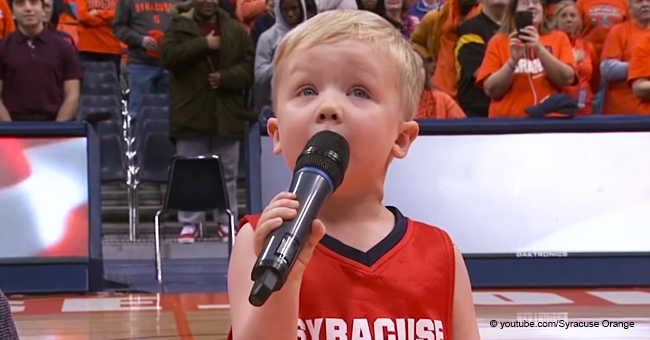 He sang the anthem from start to finish without missing any line or note. The performance amused the hockey team who smiled at him, but the crowd was ecstatic, cheering him and giving a standing ovation at the end.Pennsylvania’s native performance was so sensational that it went viral, securing him an invite to “Fox and Friends” in New York. At the show, he gave a repeat performance with a larger audience. Speaking on “Fox and Friends,” his parents, Kim and Rich Mak, said they were nervous even though he wasn’t, and they were very proud of their boy. 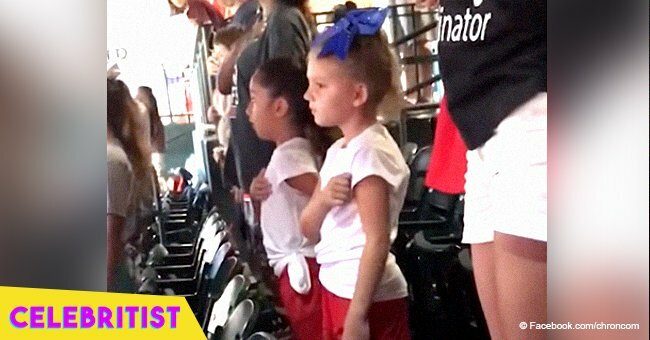 The happy parents also revealed that he learned to sing the anthem from watching “YouTube” videos. The Hershey Hockey team also praised the 4-year-old’s performance with a video post on Facebook. They wrote that although they won, the highlight started before the puck dropped. 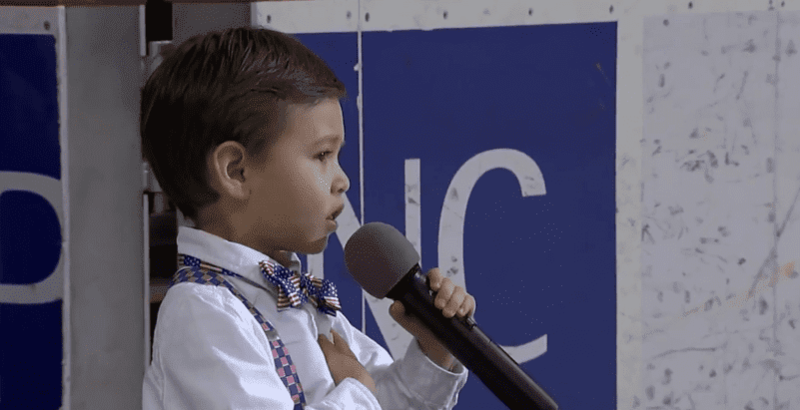 Landon is not the only child under ten to have wowed a crowd singing the anthem. 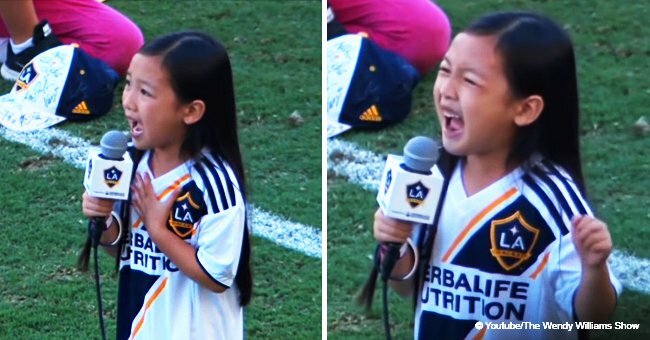 In 2018, 7-year-old Malea Emma Tjandrawidjaja, sang at LA Galaxy soccer match in front of 25, 000 people. Malea was introduced as “Tiny but mighty,” and lived up to her introduction. 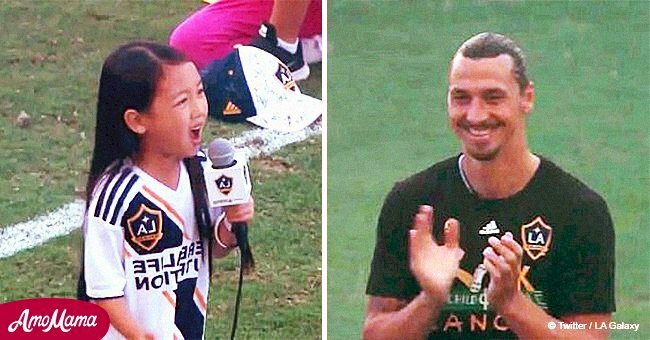 Arman said that his daughter could sing before talking, and was overjoyed to perform at the soccer game. There is more to be seen about these youngsters who at a very young age are showing a talent for music.